Be Afraid NFL, Brady’s Back and he’s pissed | NFL News, as it happens, when it happens. Your one stop shop. When the world doubts Brady he pretty much gives them the middle finger, goes out drops 50 points and just dominates and teams should learn this by now and be scared to play Brady and the Patriots. Last years Patriots team struggled out the gate going 2-2 to start the season and suffered an embarrassing loss to the Kansas City Chiefs. 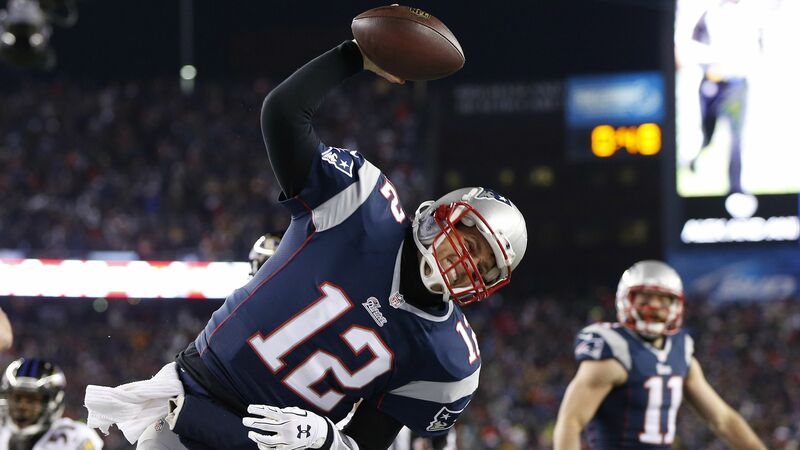 In the first four games Brady passed for only 791 yards with four touchdowns and two interceptions. Critics started coming for Brady saying that he and the Patriots were done and in the words of Trent Dilfer “just not good anymore”. Brady made them eat their words and think twice about what they said going 4-0 over the next four games passing for 1,268 yards and 14 touchdowns with no interceptions. Against the Bears alone Brady looked like he was going to pass for 10 touchdowns passing for five touchdowns and 354 yards only a little into the third quarter before being taken out of the game. 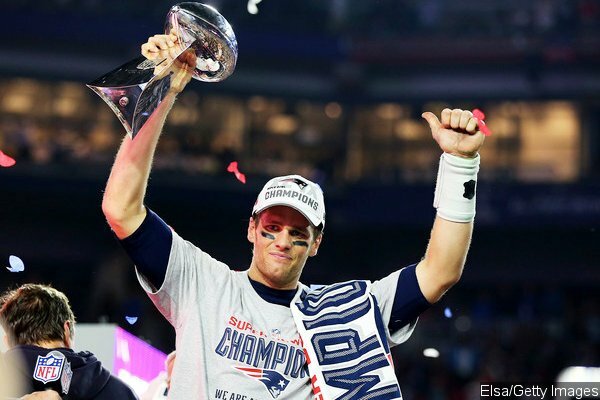 Brady finished the year with over 4,100 yards, 33 touchdowns and 9 interceptions in the regular season and his fourth Super Bowl championship. Brady’s anger, determination and leadership is what lead his team throughout the season and ultimately to the Super Bowl they ended up winning in February. And this anger was only due to people saying that he was no longer an elite quarterback and not at the top of his game, nowhere near what people were saying about him this offseason. He was made out to be a cheater in the public eye and that he was tarnishing the game of football when he did nothing wrong and Judge Richard Berman ultimately agreed with Brady and his team, that he did nothing wrong with no evidence from the league and the Wells Report. The last time something like this happened was in 2007 with the “SpyGate” scandal and Brady played with a vengeance setting many records. In 2007 Brady passed for over 4,800 yards and set the record for most passing touchdowns in a season in NFL history with 50. Brady played with a vengeance and anger this season that I think will be even worse this season. During this season Steelers safety Anthony Smith made the idiotic claim of guaranteeing a victory against the Patriots. This surely made Brady mad because he threw at Smith time and time again and made him look foolish on the field. Brady was never referenced as having a role in “SpyGate”, unlike “DeflateGate” has been referenced solely as Brady being involved. During the preseason you could tell Brady didn’t look like himself on or off the field and I think it had a lot to do with everything that was going on. Though the NFL is appealing Judge Berman’s decision to lift Brady’s suspension, this is all pretty much behind Brady and he can focus on doing the thing he loves most playing football. He doesn’t have to worry about having to go to court hearings and having to fight the league he has been apart of the past 16 years about something he had no involvement with. He can go out and focus on playing football each and every week and being the best he can and dominating his opponent, because even though he no longer has to think about “DeflateGate” he is going to take all the anger and emotions he has had about it over the past several months out on the football field and it all starts against Pittsburgh. The Banner is going to be raised, Gillette Stadium will be electric and Tom Brady will be under center playing quarterback and would not surprise me if he goes out there and throws for 400-500 yards and four or five touchdowns. He is going to show no mercy on Pittsburgh or any other opponent this season and the rest of the 31 teams in the NFL should be worried. love it… be very frickin afraid!